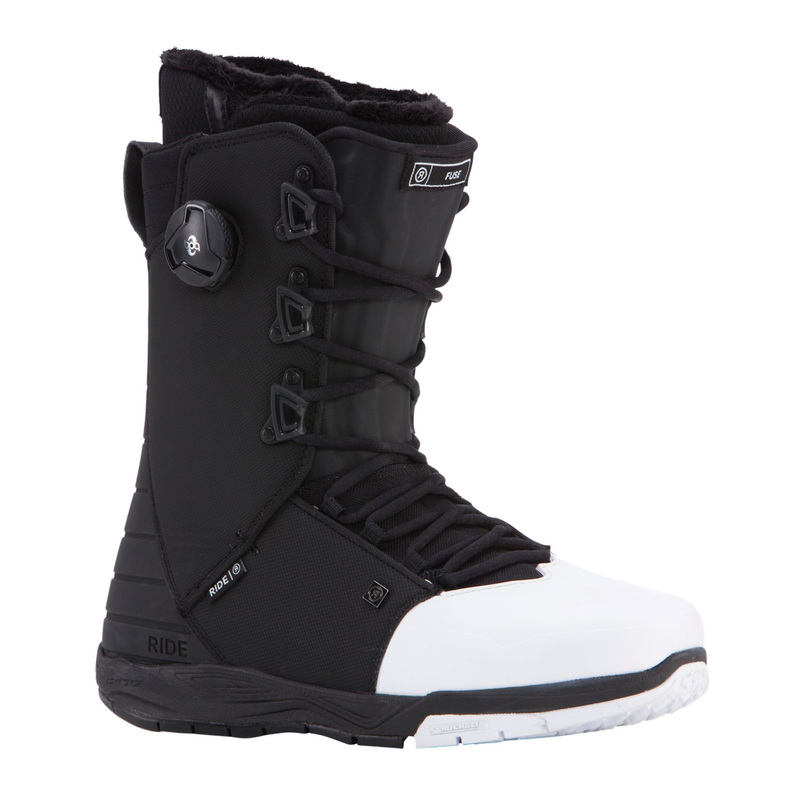 The Fuse from Ride is a traditional lacing style boot with the added bonus of the tongue being controlled by a Boa for extra control and support. Traditional laces on the shell of the Fuse provide you the FREEDOM to apply the pressure where you need it. A wrap liner and Slime Tongue build a wall around your foot to keep it securely in place while reducing pressure pints and chatter. Then the Tongue-Tied(TM) Closure System gives your the ability to make on-the-fly international liner adjustments with a spin of the dial to carpet bomb heel lift into oblivion. The Fuse promises Intuition Mobile Foam liners for the best in heat moldable fit and support and a Michelin Summit Sole for unmatched traction on snow and ice. The RIDE Team campaigns hard for the Fuse, so let's make boot laces great again!